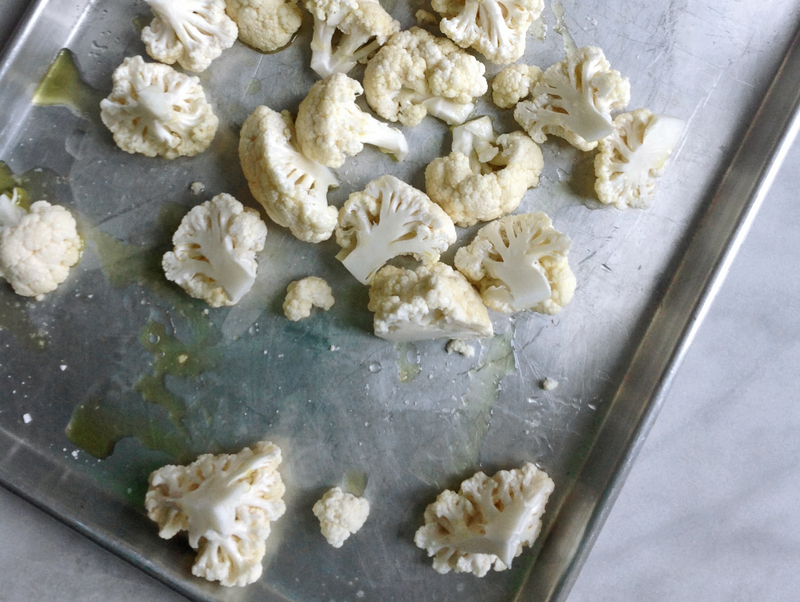 Place the cauliflower onto a baking sheet. 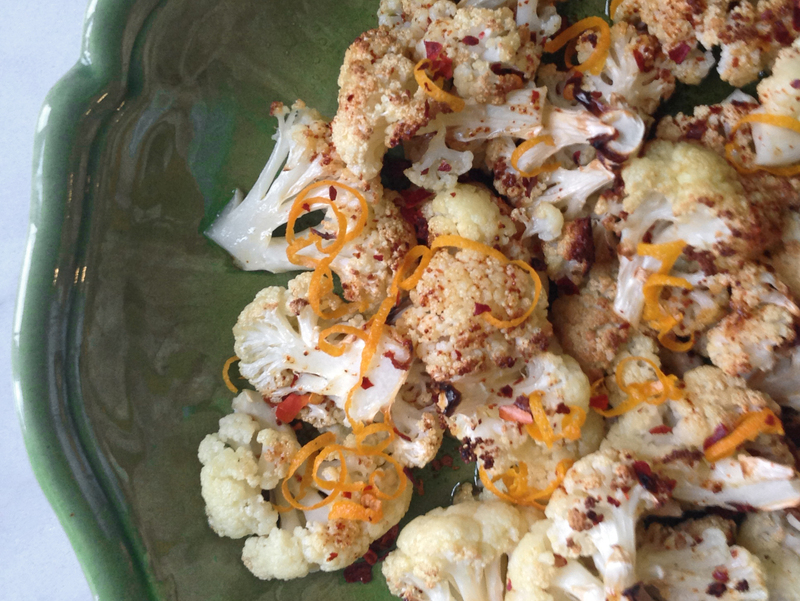 Drizzle the olive oil over the cauliflower, season with salt and toss to mix. Roast in the oven until cooked through and slightly browned. While the cauliflower is roasting, make the dressing. Zest the orange and set the zest aside. Slice the orange in half and squeeze out the juice. Mix the juice with the olive oil, chile and honey. Season with salt. Drizzle several tablespoons of the dressing over the cauliflower during the last ten minutes or so of cooking. 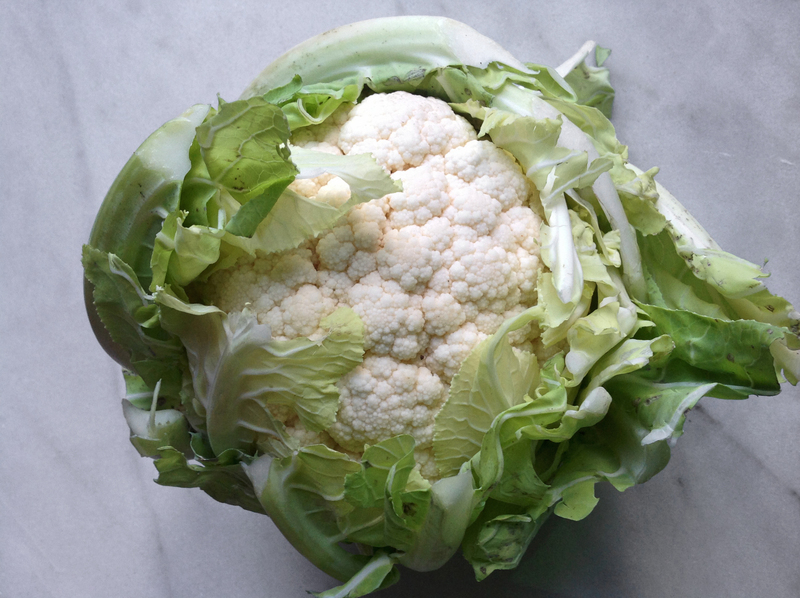 This allows the cauliflower to absorb some of the dressing. 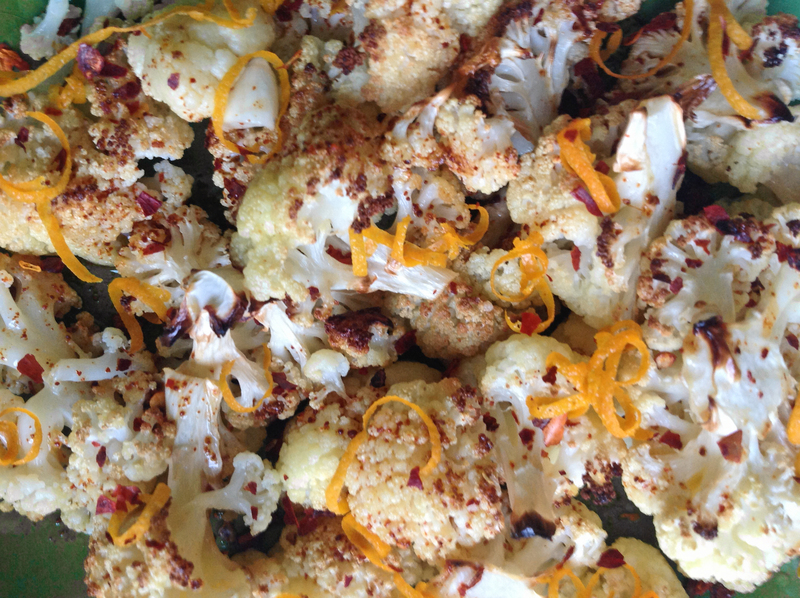 Remove from the oven, plate and garnish with chile pepper flakes and the orange zest. Serve with the remaining dressing.